Authorities said a man charged in the shooting of two police officers last week during a demonstration outside the Ferguson Police Department had attended the protest earlier that night, although multiple activists said he wasn’t a consistent fixture in their tight-knit group. 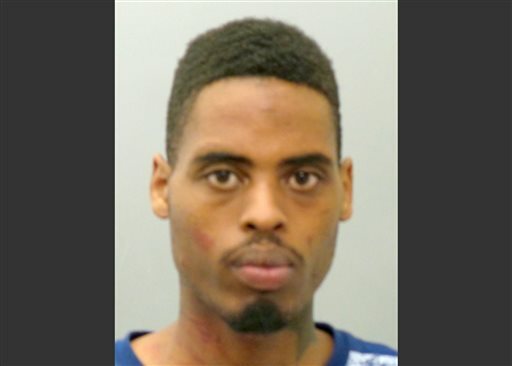 St. Louis County Prosecutor Robert McCulloch said Sunday in announcing the charges that 20-year-old suspect Jeffrey Williams told authorities he was firing at someone with whom he was in a dispute. Williams, who is black, is being held on $300,000 bond. County police spokesman Brian Schellman said he didn’t know whether Williams had an attorney or when he’d appear in court. A message left at the St. Louis County Justice Center was not immediately returned. Brittany Ferrell, 26, a protest leader with the group Millennial Activists United, had just left a meeting with other leaders Sunday when word of the arrest circulated. She said no one in the group knew Williams, and they checked with other frequent protesters — who also hadn’t heard of him. St. Louis County Police Chief Jon Belmar previously called the shooting “an ambush,” and had said the two officers easily could have died, like two New York City officers who were shot and killed in their police cruiser in December. The Ferguson police department has been a national focal point since Brown, who was black and unarmed, was killed by now-former police officer Darren Wilson. A grand jury led by McCulloch declined to indict Wilson in November, and Wilson was cleared of civil rights charges by a Justice Department report released March 4. But a separate Justice Department report found widespread racial bias in the city’s policing and in a municipal court system driven by profit extracted from mostly black and low-income residents. Six Ferguson officials, including Jackson, have resigned or been fired since the federal report was released. To recast the most common 2nd Amendment argument into a 1st Amendment one, words don’t kill people, people kill people.